Prime Minister Narendra Modi on Saturday urged the first-timer Party MPs to develop a sense of mission towards their duties and select at least one subject for self-study to have deeper understanding in it. “To be a Member of Parliament is an important thing and one must look at it seriously. Remember, people are observing your performance in the house but even outside. Our transition from opposition to treasury is not limited to moving few feet to the other side. 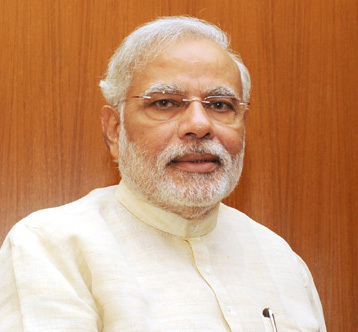 This is a significant transition and we must try to appreciate the meaning of this”, said Narendra Modi. He also dwelt briefly on performance in house and stressed the importance of brevity and focus in parliamentary speeches. Urging party MPs not to get disillusioned by small issues he reminded them that there is no full stop in politics. Prime Minister was addressing BJP’s first-timer MPs from both the houses of Parliament coming from all parts of the country at Surajkund for a two-day Training Programme. He was delivering the inaugural address. Appealing party MPs to eschew every kind of negativism, he also emphasized that our approach to parliamentary party has to be that of mutuality and fellow feeling. “We are a family and all are working for a common goal. Try to make new friends, learn from each other and develop a new collectivism”, he said. Reminding the party MPs for BJP training is not a ritual, he elaborated on how BJP has a very long and sturdy tradition of capacity building. “ Lack of training in political establishments is a serious lacunae but unfortunately, many outside politics take efforts for human resources development very lightly and sometimes even try to ridicule such efforts” the Prime Minister observed. In his presidential remarks, Party President Rajnath Singh lauded the efforts of party’s training cell as well as parliamentary wing and expressed confidence that such efforts alone one can make this largest democracy in the world into also the finest democracy. Reminding the MPs of their responsibility towards their constituencies, he urged them to ensure an orderly and disciplined conduct in the house. Earlier, Parliamentary Affairs minister and senior Party leader M. Venkaiyah Naidu in his introductory remarks, appealed Party MPs to understand the contemporary political climate and appreciate the huge burden of people’s expectations. He also urged them to ensure proper coordination with Party organization. Party training cell Chief Alok Kumar welcomed the dignitaries while Dr Vinay Sahasrabuddhe proposed a vote of thanks. Earlier, Haryana Chief Minister Bhupindersingh Hudda and several BJP leaders including Union Minister Krishanpal Gujjar State Party Chief Prof Ram Bilas Sharma received Prime Minister Modi at the Surajkund helipad. Prime Minsiter Modi joined the delegates at the breakfast before inaugurating the camp. Among others, senior leaders Sushma Swaraj, Arun Jaitley, Ram Lal, Ram Naik, Alok Kumar , Dr Vinay Sahasrabuddhe Prakash Javdekar and Piyush Goyal are the resource persons slated to guide the proceedings. Senior leader L K Advani will be addressing the delegates at the valedictory function on Sunday evening.